The scientific approach led by MarineE-tech is holistic and interdisciplinary. It assesses the complex interplay between key processes in seafloor ferromanganese-cobalt-rich deposit formation and the potential environmental impacts of recovery. For example, deposit thickness and composition may be influenced by the interaction between currents and topography, which in turn affects the distribution and composition of benthic fauna. Hence the most prospective zones may also be the most ecologically sensitive. Similarly, the composition and mineralogy of the deposits will have a direct impact on the type of low-carbon extraction technologies implemented. Likewise, improved understanding of the potential role of micro-organisms in concentrating E-tech elements in these deposits will inform future research on their bio-processing potential. Understanding the natural cycling of cobalt, tellurium and the rare-earth elements in a marine environment. Reducing the environmental impacts of metal recovery from seafloor mineral deposits. To meet these objectives we have formed a international, multidisciplinary consortium comprising universities, research centres and industry contributors, including the major UK seafloor equipment engineering company (SMD Ltd.), a leading UK offshore environmental assessment company (Marine Ecological Surveys Ltd. a subsidiary of Gardline Ltd.), the International Seabed Authority, the Applied Geoscience and Technology Division (SOPAC) of the Secretariat of the Pacific Community (SPC), and Brazilian partners from the University of São Paulo who have received £2.3M funding support for the programme from Fundação de Amparo à Pesquisa do Estado de São Paulo - FAPESP. With a well-developed offshore services sector, and as a global leader in underwater robotics and autonomous systems, the UK is well positioned to capitalise on the emerging international deep-ocean mining industry. There is high-level political support for the development of this sector, and estimates suggest it could be worth £40 billion to the UK economy over the next 30 years (source The Guardian, 14 March 2013). Specifically the company ‘UK-Seabed Resources Ltd.’ (a subsidiary of the US conglomerate, ‘Lockheed Martin Inc.’) is directly involved with exploration for deep-ocean manganese nodules in the Clariton-Clipperton region of the Pacific Ocean. Another UK-based company (SMD Ltd.), involved in the deep-ocean mining sector, and a partner in this proposal, have been commissioned by ‘Nautilus Minerals Inc.’ to build mining equipment for seafloor massive sulphides in the Pacific. In summary deep-ocean mining has rapidly moved from a distant possibility to a reality that can make a major contribution to global mineral supply and the UK economy. To fill the space in UK strategic research in marine minerals, MarineE-tech is the only scientific research programme in the UK with the aim of assessing the resource potential of seafloor mineral deposits rich in REEs, Te and Co. Yet the seafloor contains the majority of Te and Cobalt, as well as substantial amounts of Y and REEs. By bringing together a consortium of research and industry partners, MarineE-tech has the potential to catalyse the UK sector to become global leader in marine minerals and the practice and policy issues around environmental protection during resource recovery worldwide. Tellurium is enriched in Fe-Mn crusts (or otherwise known as Cobalt crust) in the deep ocean by almost 10,000 times compared with continental crust. It is one of the E-tech elements that are considered critical to the emerging high-tech industries and the 'green' economy. 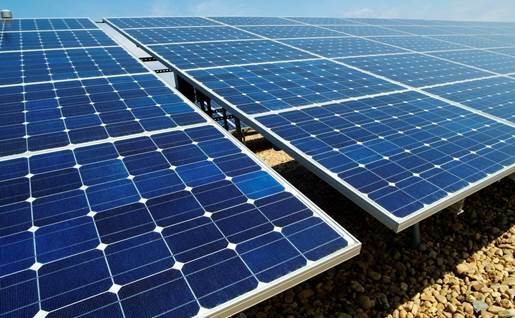 For example, the renewable energy sector identifies a sufficient and secure supply of tellurium as the single largest barrier in the development and production of CdTe photovoltaic devices. These are the only thin film photovoltaic technologies to surpass crystalline silicon photovoltaic devices in both cost and efficiency in the provision of megawatt PV systems. Currently, the UK and European economies are strongly dependent on imports of strategic E-tech metals such as tellurium from politically and/or economically unstable countries (e.g., DRC); a fact recognized by the European Commission in the priority given to the investigation of strategic mineral resources in European territories, including the seabed (European Commission, Horizons 2020). There is no primary source of tellurium. Its major supply is through by-processing of copper ore from Zaire, which remains the major global supplier. A number of major environmental issues are associated with the extraction and processing of E-tech elements, particularly REE from conventional land-based deposits, however, without an equivalent history of exploitation the environmental implications of marine mineral extraction, especially the impact on deep-water ecosystems, remains unknown. 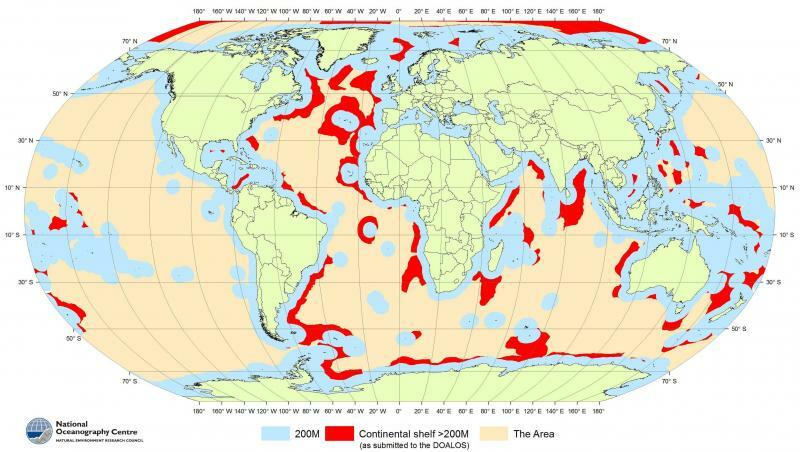 For example, seamounts are the least explored major morphological features on Earth. Yet the minimal level of seamount exploration contrasts with their significance to science and society, ranging from rich fisheries, to marine-biological hotspots and their importance in terms of chemical fluxes to the hydrosphere. 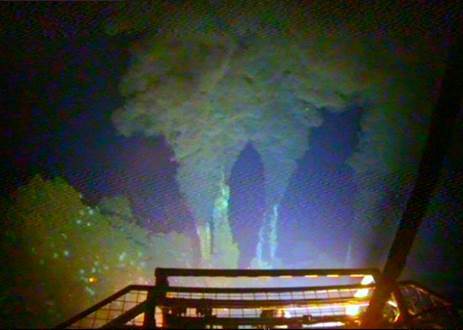 Any human activity, including seafloor operations has the potential to disturb or destroy natural habitats. While the impacts of terrestrial mining are relatively well understood, and well-established environmental protection and mitigation strategies have been developed, the environmental effects of deep-ocean mineral extraction are poorly understood and offer significant science opportunity. The ecology and ecosystem function of seamounts is especially poorly known on a global scale (ISA, 2008). While the potential impact on deep-sea ecosystems is not viewed as an insurmountable hurdle to extraction of seafloor mineral deposits, field studies are required to predict environmental impacts, hence enabling environmental regulations and codes of practice to be established by regulatory bodies such as the ISA. Do biologically rich ecosystems and the most economically attractive Fe-Mn deposits coincide? As biological hotspots, seamounts have rich and arguably endemic fauna. These ecosystems are supported by the same environmental processes (upwelling and surface productivity) that are thought to enhance Fe-Mn deposit thickness and grade. What is the potential impact of mineral extraction, particularly sediment plumes on deep-sea ecosystems? What is the potential for using low-carbon extraction technologies to recover E-tech elements from Fe-Mn deposits? Early indications are for relatively easy dissolution of Fe-Mn deposits by aqueous acid solutions. This lends the feed-stock to novel leaching and solvent extraction of E-tech elements through ionic solvents, and to non-dispersive phase contacting in hollow fibre membranes (HFM) as an alternative and low-impact continuous extraction technology. MarineE-tech will also enable informed decisions by non-governmental organisations and policy makers scrutinising the sustainability of future extraction of metal rich crusts on the sea floor. For example, this research is identified as a priority in the new ten-year science plan for InterRidge, which has observer status at United Nations International Seabed Authority, and of which PI Murton was chair (2010-2013). The importance of the environmental impacts is recognised by the current EU programmes on assessing potential environmental impact of deep-sea mining as well as in current calls under the EC Horizons 2020 research framework.